news Communications Alliance, Australia’s primary telecommunications industry body, has criticised delays over funding for telcos following the Federal Government’s mandatory data retention legislation passed a year ago. The Telecommunications (Interception and Access) Amendment (Data Retention) Bill passed the Senate on 13 April 2015 and came into effect on 13 October. Under the new law, telecommunications firms are required to collect and store large amounts of customer data. 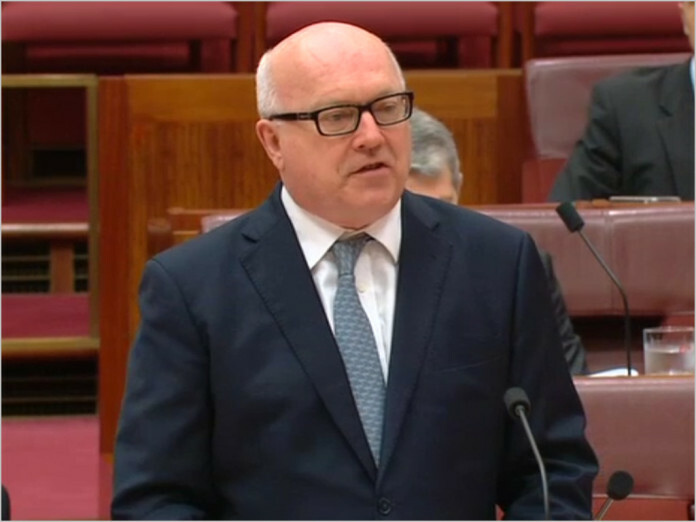 The scheme is overseen by Attorney-General George Brandis (pictured) and his department. The cost of this data retention was estimated by government consultants to bring an upfront capital cost to industry of up to $319.1 million and an eventual total of $738 million over the first 10 years of the scheme. The industry expects the actual capital costs to be significantly higher than that, said Communications Alliance. The 2015-16 Federal Budget set aside funding of $131.3 million over three years as a contribution to these costs of telecommunications providers. Of that figure, almost $3 million will be siphoned off by the Attorney General’s Department for administrative costs. Yet, despite 12 months passing since the passage of the bill, “Australia’s telecommunications providers are still waiting to learn how much of their multi-million dollar compliance costs will remain unfunded – and whether their business will be threatened as a result,” said the body. A round of applications from service providers for a share of the government funding closed on 23 February 2016. Next, the Government Data Retention Implementation Working Group is supposed to meet and review the weighting system that will be used calculate how much each eligible service provider will receive. That meeting has not yet been scheduled, according to the Alliance. “No-one doubts that the Attorney-General’s Department has been working hard to implement the regime and sort out the funding question – but the ongoing delays are having perverse consequences,” Stanton said. Due to this delay, a number of service providers – particularly smaller operators – have said they are doing “very little or nothing” to develop their compliance capabilities currently, according to the CEO. “Who can blame them? If they start investing in new systems now, without knowing how much of that investment will remain unfunded once the subsidies arrive, they are putting themselves at risk of bankruptcy,” he said. Stanton indicated that other operators have been investing in compliance measures, but are doing so in an “ongoing climate of uncertainty”. “So far the only thing that is certain is that all the Attorney-General’s Department costs will be fully covered. That is cold comfort for service providers struggling to deal with the massive burden of the data retention legislation,” Stanton concluded. Well, for a PE-centric party, the LibCo is remarkably shy with money matters. Don’t they understand “We not a Large Bank. No deposit, no service!”? In this mess, the Service Providers are to be regarded as Small Business, with no significant capital reserves to shield them from slow or non payers. With a bit of luck 2X will call a DD and get righteously trashed.